Last night I continued my flip-flopping between Sylvanas and fishing, with fishing coming out way on top. I caught my last rare fish and consequently completed the requirements for the best Legendary of Legion, the Underlight Angler. Thankfully the arrival of Azerite hasn’t relegated this Legendary to the annals of history. Before wielding it, there was a great surprise (though I should have guessed) when the inimitable Nat Pagle turned up for the quest that would unlock the rod. I was very happy to see the old sod again, and we went off fishing together for a while, just like old times. 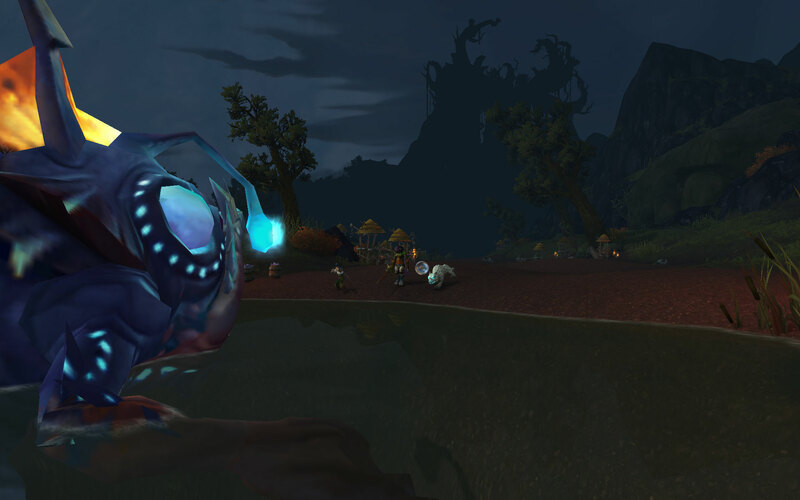 We – well, I – had to defeat a giant murloc in order to finish the job, which somehow then became part of the fishing rod itself. Once it is complete, a number of reputation and upgrade quests become available. 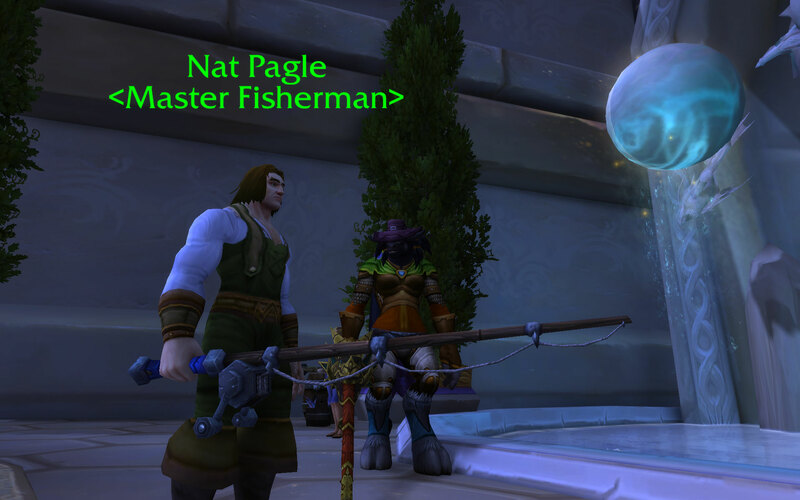 The Fisherfriends seemed a good place to start, and fortuitously it was in Highmountain. At first I started fishing alone, before recalling that there were such things as ‘fishing raids’. I signed up for one, and it was hilarious and brilliant. 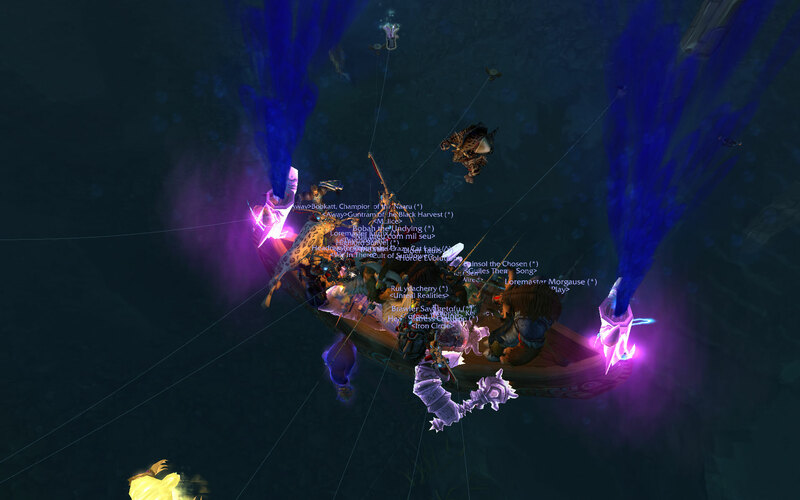 Fisherfriends require you to fish up specific items to earn rep, and you have to be standing in certain spots to achieve that. For the Highmountain, that spot is a tiny boat in the moat around the building. Which means there were 20+ people suddenly crammed on the boat, all fishing peacefully. Best of all was when a conversation started that somehow ended up talking about D&D, Warhammer, miniature painting, and Pathfinder 2 beta testing. In other words, not Barren’s chat. So here we are. On the cusp of Blaugust Reborn, and of the continuation of the so-called War of Thorns and the Battle for Azeroth, and I’ve gone fishing. 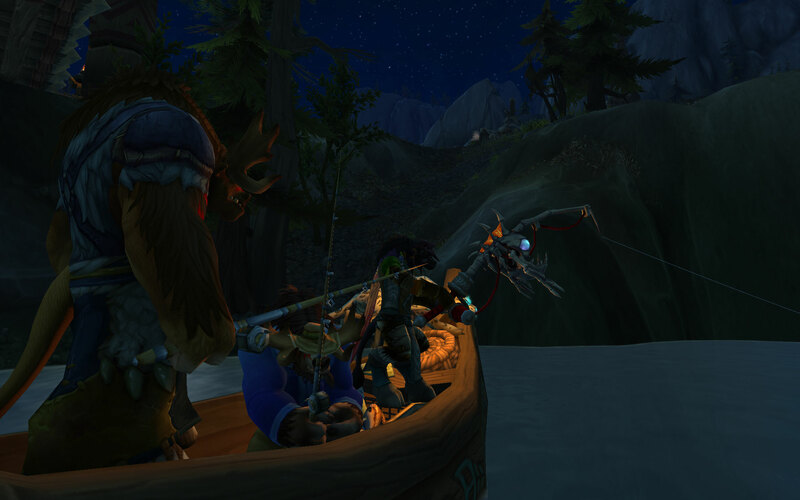 I’m pretty sure as soon as I have a foothold on Kul’Tiras sorted, I’ll go fishing again, too. May your casts land true, my friend!